development of collaborative relationships. The content is proposed and provided by the participants, and is often determined on the day of the event. How is the agenda set? an interactive process to create an agenda. The exact process is not important to understand in advance – the process will become clear as it happens. ​How do I host a session? If you have an idea for a session, you'll write it out on an index card for the organizers to review. Bring it to the "Schedule Wall," and we will help you find a slot. If you convene a session, your only responsibility is to “hold the space” for your session. You hold the space by leading a discussion, by posting a “first question,” or by sharing information to kick of the discussion. Be the facilitator – stay visible, be as involved as necessary, and guide the group. Set clear goals at the top of your session, make sure all attendees introduce themselves, assign a note-taker, then let the conversation unfold. You do not need to have experience hosting to suggest a topic and convene a session so go ahead and take the plunge! You do not need to be an expert in the topic to host a session. There is no ‘right way’ to lead a session. However, there is a suggestion to aim for interaction and discussion. Pro Tip: Take notes and photos of your sessions so you can share them with others either at sessions you lead or in other sessions. see where the discussions will go. Follow your passion – go to the sessions that interest you. We use the Rule of Two Feet: If you aren't learning in a session, use your feet to find a new one! Take responsibility for your own learning – if the topics you are interested in don't appear on the agenda, volunteer to host a session on them. Participants are in the driver’s seat! Ask for help hosting a session if you need it. Consider co-hosting with another participant who is interested in the same topic. If you are incredibly passionate about a topic, perhaps invite a co-host who offers a different perspective than you to balance the discussion. 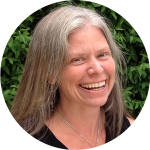 Aleya Littleton, MA, is the founder of Wild and Wonderful Life Counseling in Golden, Colorado. With over 15 years experience in education and outdoor guiding, Aleya brings her enthusiasm for movement and metaphor into her work with clients. She serves individuals and groups through mindfulness training, Dialectical Behavior Therapy, rock climbing and mountaineering. 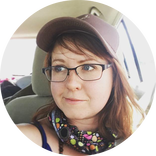 She teaches rock climbing at the School of Mines, is the founder of the Adventure Therapy Collective, and hosts the Front Range Adventure Healer's Meetup.